The Elizabeth Myers Mitchell Gallery, located on the campus of St. John’s College, is a hidden treasure in historic Annapolis. 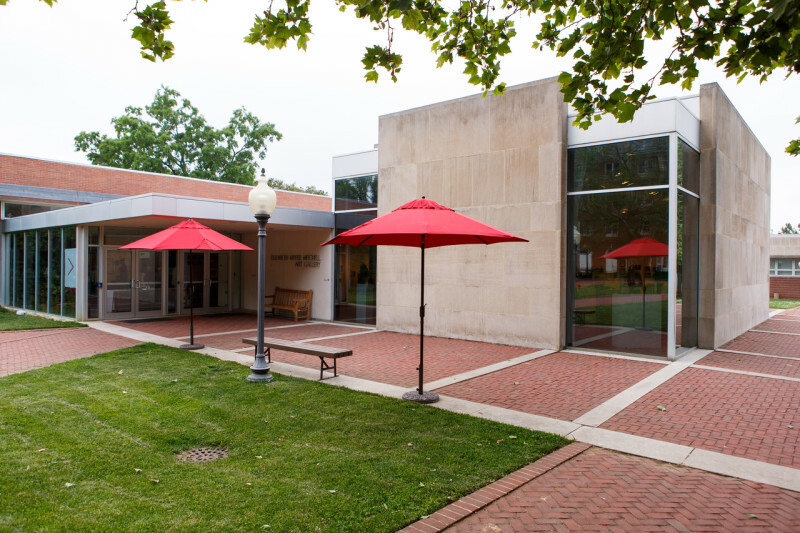 Accredited by the American Alliance of Museums in 2012 and dedicated to bringing art of world renown to Annapolis since it opened in 1989, the Mitchell Gallery’s modern design won a Citation of Merit from the American Institute of Architects. It attracts over 10,000 visitors a year to its museum-quality exhibits which are of an unusual range and diversity for a gallery of its size. Exhibitions have included works of celebrated artists such as Bruegel, Calder, Rembrandt, Rodin and Motherwell and Johns, exhibitions of unique historical and regional interest such as photography by A. Aubrey Bodine and Marion Warren and The National Craft Show. The Mitchell Gallery serves the community of St. John's and the wider communities of Annapolis and Anne Arundel County as a resource for viewing, discussing, and learning about fine art. Presenting exhibitions of unique historical and regional interest and museum-quality exhibitions that change regularly. Interpretive programs include lectures, gallery talks, docent tours and children’s programs.